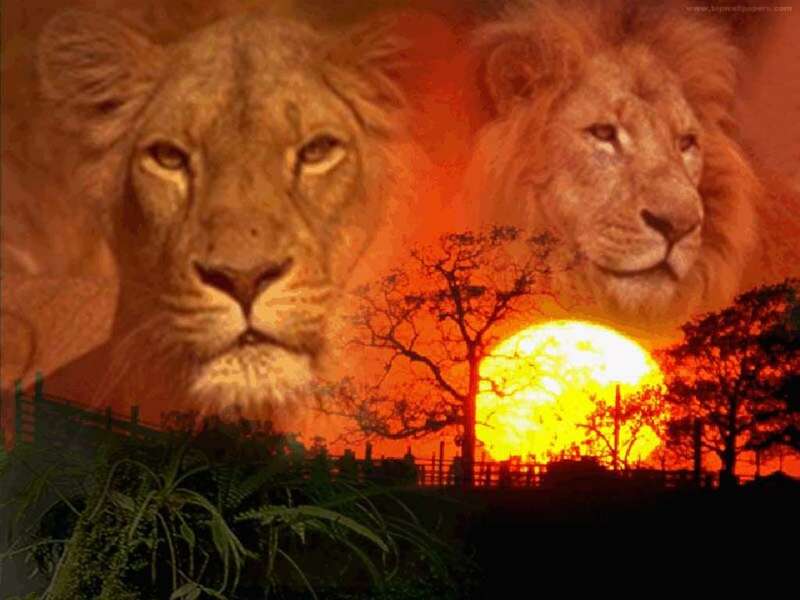 The Asiatic lion has long been celebrated as Lord of Beasts, and it became a symbol for human power and sovereignty. In ancient societies in India, to fight with a lion was considered to be the ultimate test of leadership. This gradually shifted to a somewhat safer, more symbolic gesture of a leader clothing himself in or standing on a lion skin. There were magnificent depictions of lions amongst the statues at Mahabalipuram. The most important use of the lion as a symbol of power and strength was associated with the Emperor Asoka in Sarnath, 2000 years ago. This depiction of a lion eventually became the symbol for the modern Republic of India. As Indias population grew and began cultivating or settling more and more of its forest and scrublands, the Asiatic lion was squeezed nearly out of existence. Early this century the Gir Forest area in the state of Gujarat on the west coast was afflicted with a terrible famine brought on by a severe drought: one so devastating that it is still mentioned in the folklore of the region. Because of the strained circumstances, the lion population began preying on the human population in the area. 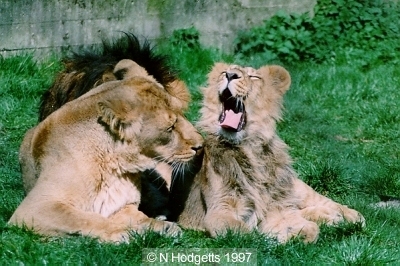 This prompted a massive backlash against the lions, resulting in a catastrophic decline in their population. In 1910 there were reported to be fewer than two dozen lions left in the wild although this low figure may have been publicised to discourage lion hunting - census data from the time indicates the population was probably closer to 100. Before they were completely wiped out, the lions came under the protection of the Nawab of Junagadh, a local monarch, who banned all lion hunting in the area. Soon, the lion population began to rise in number. By the declaration of Indian independence in 1947, the government had come to realise the importance and fragile nature of this last bastion of the Asiatic lion, and the Nawabs conservation policy was upheld. 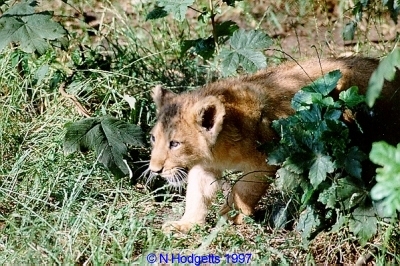 Naturalists were assigned to study and take a census of the Girs lion population. At that time there were around 200 lions. The Indian government then created the Gir National Park and Lion Sanctuary - collectively known as the Gir Protected Area (PA), covering over 1000 km². The area is made up of dry scrubland with hills, rivers, and teak forest. 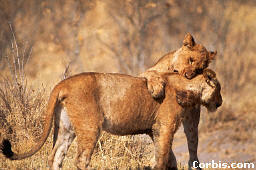 In addition to the lion population, the Gir PA contains leopards, antelope, deer, jackals, hyenas, and marsh crocodiles. Asiatic lions are slightly smaller than their African cousins, although the largest Asiatic lion on record was an imposing 2.9 m in length. 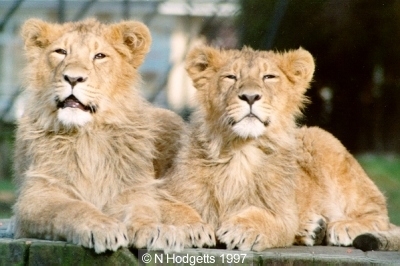 Though they have a less well developed mane, Asiatic lions have thicker elbow tufts and a longer tail tuft. At the present time the Gir National Park and Lion Sanctuary is the only place to see Asiatic lions in the wild, and the Indian government has begun to do more to make this unique spectacle visible to tourists and wildlife enthusiasts. 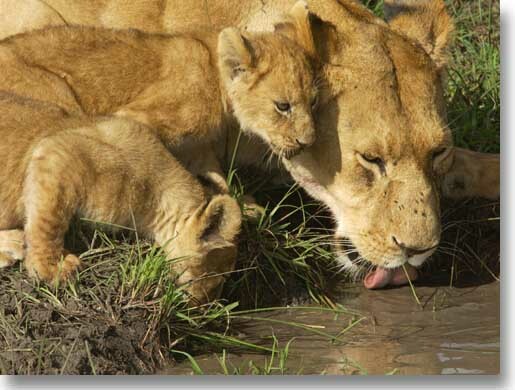 Guided jeep safaris through the Gir are available for observing lions. Because the lions are not afraid of people or vehicles these safaris can offer very intimate views of the animals. Sometimes lions will actually approach and look over a vehicle in their midst.